Do I have a bad board? ESP32 needs a lot power during WiFi. Its a ESP32 problem not related to Espruino. I use a 1117-series 3.3v regulator (specifically the ZLDO series, since they've got the best specs of the 1117 clones - very low quiescent current, and lowish dropout). I would not try to use any regulator physically smaller than SOT-223 (TO-220 for throughole people is more than sufficient) - they inevitably can't dissipate the heat (that's probably why it worked at first for you - the reg was cold. Then you plugged it in, it started heating up, and shortly after, it started to go into thermal shutdown or folded back the output voltage until it started cooling down, and it stopped working) . I've seen people try to use SOT-23 regs, and running off 5v, the one Gordon used on the pico can just barely handle an ESP8266 - but ESP32 is a little more demanding. Yes was powering via USB. I switched to a NODEMCU ESP32 board and that one seems to handle the power better - no brownouts so far. 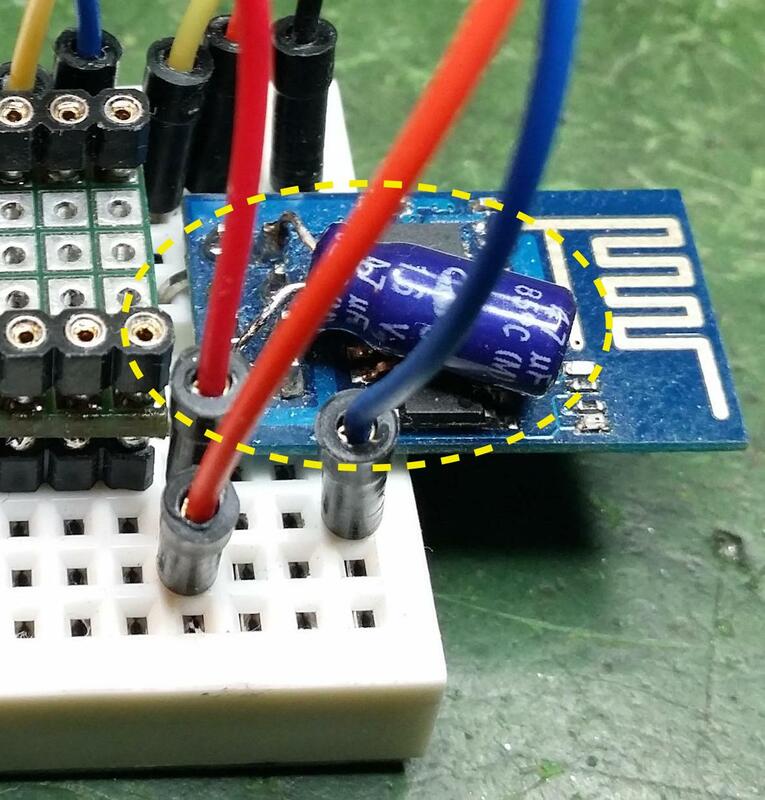 Put capacitor (100uf or 220uf @10v) between 3.3v and GND. It is known that at startup of the wireless connection a power calibration happens that creates that spike. You though still need a supply that can support more than 100% of your average power consumption in order to get your cap charged (quickly enough) for the next spike. ESP8266 already needed such a cap when running on the 3.3V of a PICO - see attached pic (as part of this past conversation.